How to Make Money with Teachable? 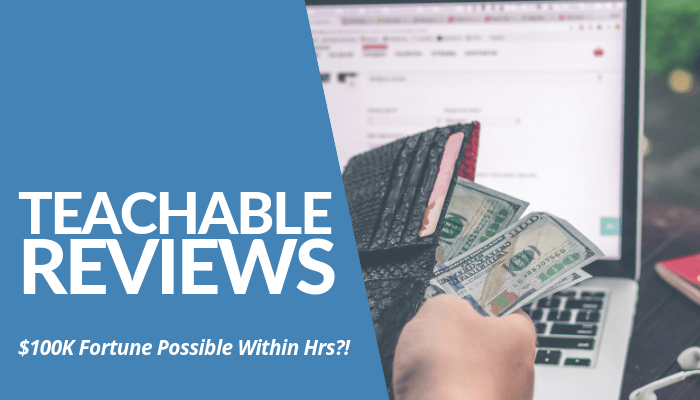 Teachable Reviews - What Others Say? Is Teachable A Legit Platform? Founded not too long ago, Ankur Nagpal developed an online learning platform known as a Software as a Service (SaaS) in 2014 with its old name, Fedora, which became Teachable today. An immigrant from Oman and settled in California, studying at the University of Berkeley, he strove to create a massive positive impact on others by means of continuous learning. That’s when he gathered a group of people and invited them to create a company that’s going to be ambitious and large targeting course creators. The above-mentioned platform will be a means to encourage them to create unique and simplified course content delivered through Teachable and receive payments from verified students learning and consuming the content by heart. There are 2 functionalities Teachable can provide for the 2-way learning process, for the learners and the teachers. As for the learners, they either get through their way to the course from organic search or following their admired blogger or instructor and arrived at the page from their sales page or webinar. Either of the two, the course creators setups the content online from scratch and promotes them on their blogs, websites, email marketing, or social media accounts. Typically, bloggers do their pre-launch strategy by webinar and invite them to purchase the course before its launching date. The 3 plans are set for yearly billing. For those who choose the Free and the Basic plan, there will be transaction fees to apply versus the other 2 plan types worth $10 + $1 and $5 respectively. Once done, the students continue to get into the course page albeit its unavailability until its launch. Afterward, course creator continues to promote until the set date and even after that through their sidebars or collaboration with other bloggers. So, for the learners, they will get inside the course and explore the details, especially the benefits they’ll get from it. Creators produce written content alongside the videos, PDF downloads, and other sets of extra tools to exemplify the learning process. There’s a clear distinction in making money with Teachable, as a course creator and an affiliate. ​Nagpal opened the opportunity for the influencers to gain more money-making opportunities apart from the course itself. 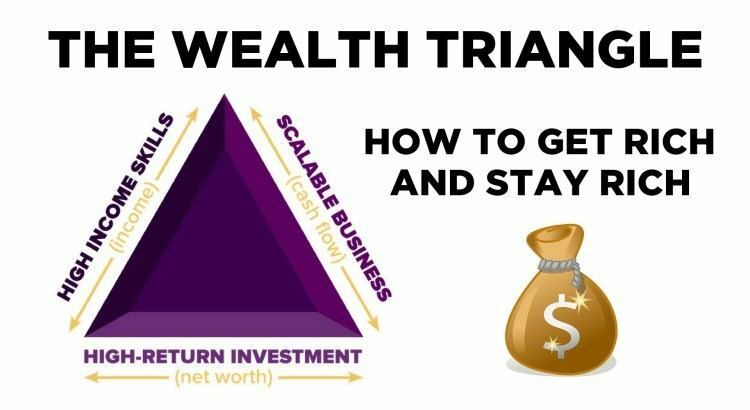 If you take a look at Dan Lok’s triad for making wealth, upgrading your high-income skills is a must. That includes your course. Bloggers with a massive following like Pat Flynn, John Lee Dumas, Melyssa Griffin, Mariah Coz, among others use the same platform to teach their craft. Even companies like the New York Times created their own course by establishing The School of The New York Times to teach others pre-college and professional programs, upgrading the caliber of paper, debate, and discourse. 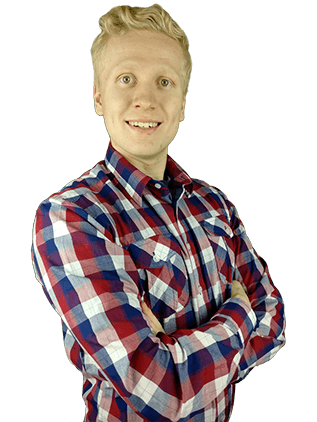 As a course creator, Roope’s friend, Jerry Huang, earned as much as $40,000 within 4 hours during his pre-launching through promoting his Mandarin Affiliate Marketing course. During the launch date, he earned $100,000 in total within the limited span of time. That’s how it gets crazy for bloggers, in general. 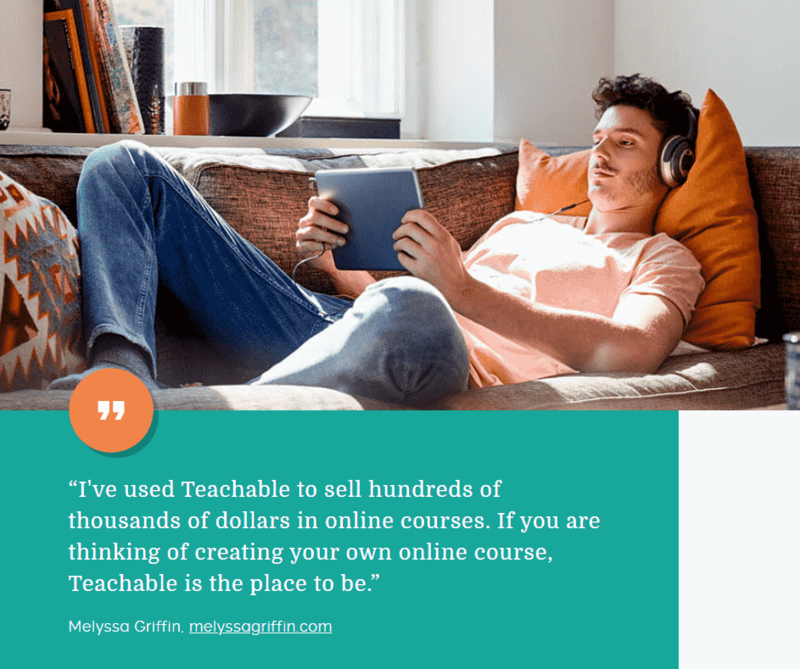 One of the 6-figure bloggers, Melyssa Griffin, recommends Teachable for earning money online. It sounds insane but that’s how possible earning so much money on Teachable is. However, the platform requires a lot of hard work from you at the beginning because you have to start creating the course from scratch and outlining them in preparation for the content you’re going to teach later. Afterward, the outline becomes your basis on creating high-quality videos and other materials needed to improve the learning environment you create. On the other hand, as an affiliate, you’re going to receive as much as 30% of the commissions with the 90-day cookie in every referral you generate from a constant promotion. Honestly, I find a bit of difficulty to find fault with Teachable as an online platform. However, I found one on Capterra. According to a course creator named, Robin F., he's been using the platform for the past 2 years. But whenever he has to use the Teachable inbuilt email application, he's facing troubles with it. He wrote, "There were days when it wasn't working when I needed to send links to live classes and webinar. It's difficult to customize "welcome" emails and there's no way to schedule sends or save drafts." If you are in a tight budget, then you have to endure paying $10 + $1 (Free plan) and 5% (Basic plan) to Teachable whenever you generate a sale from your students. You cannot get 100% of the income unless if you opt to upgrade your plan to Professional and Business. The same reviewer, Robbin F., found it's a bit off for someone who wanted to create a positive impact on others if the leadership Ankur Nagpal does is angled towards the money-making alone. However, if you think about it, it's kind of a norm for someone who's building a great platform just as Teachable does. You want to earn, too. As much as how amazing Teachable popularity sounds to the online community, the Better Business Bureau has a different say on it. In accord to their records, the company failed to get their accreditation status from the BBB and remained "Not Rated" up to this time. As I mentioned in the earlier posts, it's more of the lack of information submitted rather than the overall performance of the company. There are some course creators who found issues in canceling the subscription, especially those who weren't satisfied with their service within the 30-day period after the date of purchase. That's within Teachable refund policies. "I found an unauthorized charge for $399.00 in my bank account from [Teachable]. I emailed them immediately, it was after hours," a disappointed course creator wrote on the BBB. I tried Teachable myself years ago to create my own Search Engine Optimization (SEO) basic course. As far as my experience is concerned, I found no problems with uploading content both written and visual i.e. high-quality videos, PDF downloadable, etc. This feature is intended given as an option for the course creator to make one content available once the student finishes the lesson on that day. You could adjust it one lesson per week or per day. It depends on you. As a course creator, you don’t have to experience a lot of concerns when it comes to the payment or receiving payment per se. Teachable handles the transaction leaving you at ease, although there’s a transaction fee you need to pay on behalf unless if you paid the Professional and Business plans. Not only it presents your course in a nice, simple, and easy-to-use landing page, but it also allows your content to shine more with its layout. If you try to visit any of the blogger’s course, you will notice the clean layout Teachable provides, allowing the sales page stand out. Especially if you have to show proof, testimonials, etc. to support your copy. 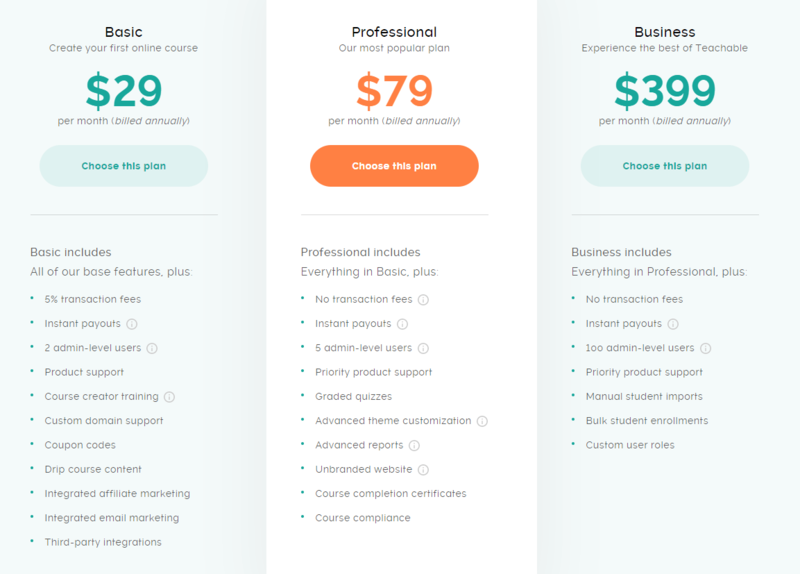 Teachable allows content creators to customize their sales page on their own style. Teachable is generous enough to give free training on how to create the course until the uploading process. They even do a regular number of webinar training not to sell but to simply teach the updated features or new trends in sales marketing applicable to the course you’re trying to put up on their platform. Most of the time, Ankur Nagpal does all of it on himself. Many course creators testify to this feature. The same thing as MasterClass does to its target market. Both of them provide a great amount of support to their client’s concerns, ensuring a smooth experience. Other online learning platforms such as Udemy doesn’t have that friendly vibe when it comes to this section. “Teachable is very user-friendly and they offer an intuitive user interface,” a verified reviewer mentioned on Capterra. 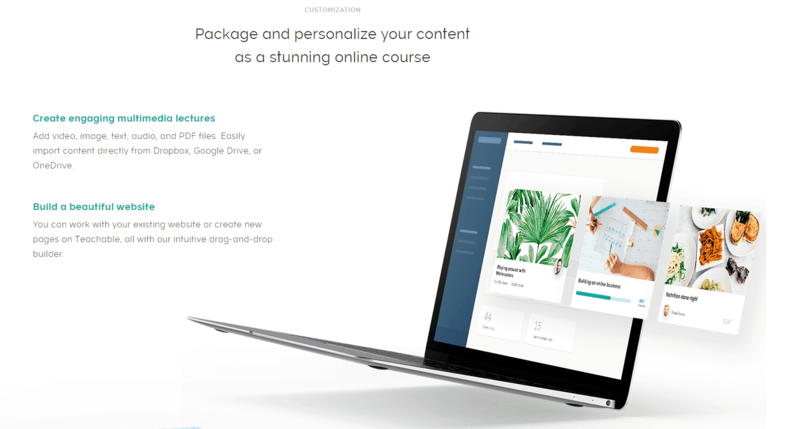 Teachable features an engaged student community, among others to connect the learners with their instructors managing each course. This is another plus for Teachable making course creation as simple as it is in comparison to other existing platforms today. “They have features like drag and drop or duplicate that makes creating training courses a breeze. I've used other course creation software and I find that Teachable is easier to understand,” another reviewer wrote. I started blogging since 2015 and I learned about Teachable in the same year after following bloggers over the years. They used the new platform (at the time) to expand their blogging in a course content form. From a simple blog post, they transformed it into something every learner could consume and learn in-depth while listening to the blogger’s voice and watching them talking on the video teaching stuff. From there, the number of bloggers drove to using Teachable in their blogging career increased to the point where most of those world-renowned bloggers used the same software. That’s enough of a proof the system works, including the updated features every now and then. "I have a couple of training hosted on Teachable and have found it to be a great software. Easy to set up and pretty flexible. I like that it's hosted, meaning I don't have the pressure of worrying with the security and uptime of using my own host," David said. This claim isn’t limited to a few but most of the course creators, even those who just started blogging like Jerry Huang, who made use of the platform only a few years ago, and other professionals, utilize Teachable to create a deeper connection with their followers by providing relevant content in another form. 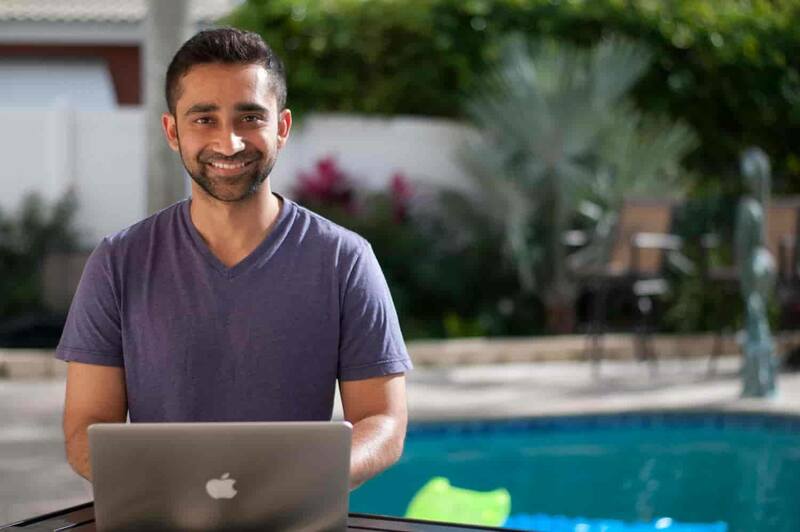 "Last week, I pre-launched my Mandarin Affiliate Marketing Course and I made over $40K in 4 hours time... One week has passed and my Pre-Launch Offer has just ended," Jerry wrote on his blog expressing his delight on using Teachable for his course. Overall, there’s no doubt Teachable is legit platform and one of the most popular and leading online learning course software today. The majority of the bloggers, both the new and the seasoned, recommend it to earn more money by creating something they already know about. Unlike other course platforms I tried, this one has the biggest impact on my trial and error phase in my blogging career. I haven’t tried the paid versions yet but I’m planning to when I got to finalize my own course. For now, I am simply sharing what I know about blogging through free content. Nonetheless, albeit there are some issues about the refund or cancellation, Ankur Nagpal’s creation continues to grow to as much as $90 million in course fees alone. The figure is proof that many bloggers have become more confident in sharing their knowledge in a course form apart from email marketing or blog post only. 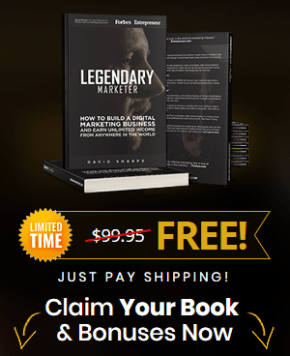 Given the endless opportunity online such as creating your own course content to your loyal fans and potential students, you couldn’t deny your knowledge can be your strong weapon attracting sales and fortune. That is if your tenacious and hard-working to make it into a reality. 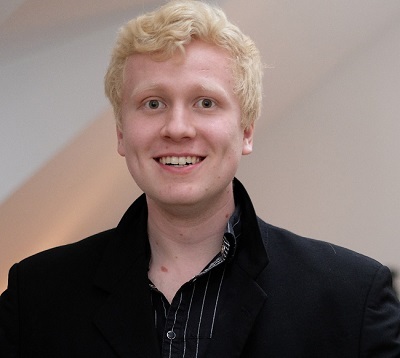 From there, you have to willing to take the risks to gain something just as Roope “Robert” Kiuttu did when he established Your Online Revenue Ltd back in 2015 when he’s still 21. At a young age, he’s able to leverage himself not only as a blogger but a mentor to more than 3,000 individuals, including those who are older than him. If you want to replicate his success and earn more or less $2,000 within 20 hours as he did, learn the #1 recommended business opportunity he has for you, my friend. It’s a FREE program that’s going to give you a real and legit money-making opportunity. Are you serious to earn more this year? Click the green button below and get started now. It’s now or never. Now that I shared my thoughts in my Teachable Reviews post, it’s time to turn the table and ask about your experience with this company, in general. What kinds of experiences do you have with Teachable? Are they worth your time, money, and effort? Do you prefer to begin earning your first passive income through affiliate marketing or you rather invest in partnering with an online learning platform as Teachable does?